To succeed in an ever-changing, fast-paced business environment, organisations must be strong and resilient. Companies need to be able to embrace change and challenges, overcome barriers, and bounce back from setbacks. To do this requires resilient employees that can cope with the high levels of stress sometimes faced in tough business environments. Being resilient means being able to cope effectively with challenges and change. It’s the ability to experience stress or pain, face obstacles, manage adversity, or confront sudden change while remaining positive and optimistic. Resilience is an acquired skill that develops over time as people accumulate life experiences, perspectives, and the ability to manage themselves and their emotions. Resilience is also a factor of having a good support network (family, friends, and colleagues), and a confidence in one’s self and abilities. A resilient person is able to confront and manage their feelings and impulses, can seek help when they need it, and has good problem-solving skills. Resilient people also view themselves as being resilient and, when confronted with difficult situations or problems, they do not approach the issue from the standpoint of a helpless victim. A resilient team can perform well under pressure and can embrace change. Resilient employees look forward, do not dwell on problems, and are able to maintain their productivity and positive outlook in the face of unexpected adversity or day-to-day work frustrations. Provide Purpose: Employees should know their purpose and understand the contribution that they make to the larger organisation. An effective manager reinforces their objectives, purposes, and goals so that employees see the bigger picture and the value in their work. Without a clear purpose, it can be more difficult for employees to be resilient and preserve through difficult situations. Without purpose, they may give up and become hopeless. Instil Trust: Trust is critical for open communication and when employees are comfortable sharing weaknesses, asking questions, seeking help, and taking risks, they are able to be more resilient. 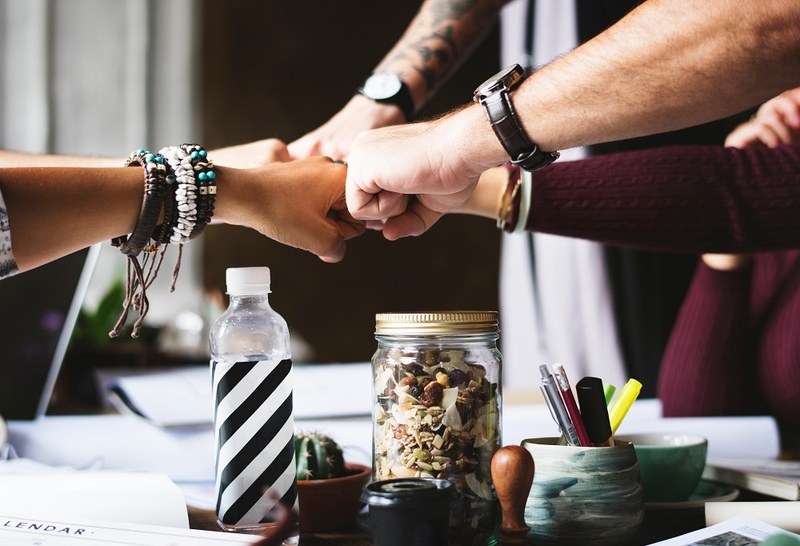 Employees who trust each other are more likely to work collaborative and provide each other with the support needed to weather difficult situations. Managers can engage their team in an honest conversation about who has excessive work and who could consider taking on more. Establishing and communicating clear priorities can help employees stay focused on the most critical work. Allowing flexible working arrangements can empower employees to balance their personal and professional priorities and this builds trust and resilience while reducing stress. Give Autonomy: When employees are given the freedom to think for themselves and make decisions, not only will they be happier and more productive , but they will also be more resilient. When employees have the freedom they need to do their jobs, they are more confident and resourceful and try to solve their own problems. Without autonomy, employees take on a victim mentality and do not have the confidence to confront problems. Managers should encourage employees to make their own decisions, take risks, and try new things. Failures should be seen as an opportunity to learn, not mistakes. Facilitate Relationships: Strong and resilient teams have strong connections. They trust each other and are supportive and collaborative when tackling challenges versus judgemental and critical. Employee relationships are built through time spent together like social activities and training, as well as during on-the-job collaboration. Managers should encourage employees to reach out to each other for assistance. This builds the trust and shared purpose that’s needed to be resilient when they face setbacks. Focus on Wellness: When employees are healthy, they are happier and more resilient. Employee health should be promoted as a part of a larger employee wellness program and should do things like encourage physical activity, provide health education, and host health-focused events. Fostering a resilient workforce is a necessary part of long-term business success. If employees are not resilient, they cannot effectively cope with stress and difficult situations and the company will suffer from absenteeism, presenteeism, poor service, and low employee engagement. The road to success is sometimes bumpy and resilient employees are capable of embracing challenges and learning from setbacks while keeping an optimistic perspective.